With advances in energy and technology, many construction projects today involve work with solar power and with alternative energy materials. Unfortunately, these projects require new techniques and a new base of knowledge that not every electrical worker has. When those without experience in the solar power industry are asked to perform construction work on solar projects, this can create a risk for all involved. Our Boston construction accident attorneys urge employers hiring workers for solar projects to ensure that all electrical or construction workers hired have the requisite licensing and technical knowledge. We also urge electrical and construction workers to decline solar projects and other alternative energy projects unless they have the proper licensing and technical backgrounds. 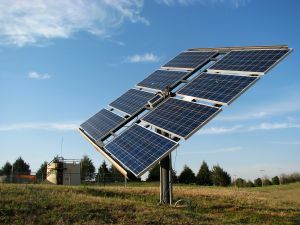 According to the Solar Industry magazine, a trade group called the National Electrical Contractors Association (NECA) of Greater Boston has recently expressed concerns about unlicensed temporary workers performing work at a solar power park that is currently under construction. The park is being constructed in Dartmouth Massachusetts and there is both a general contractor as well as four staffing companies who are working on staffing and managing the project. Unfortunately, according to NECA, none of the four staffing companies have a required Class A Massachusetts master electrical license. By law, any company or individual who wishes to employ others in the business of electrical contracting must have this Class A master electrical license. Since the four staffing companies lack this license and are filling electrical positions in the solar park project, they are in violation of Massachusetts’ laws. NECA’s concern stems not just from the fact that the staffing companies are violating the law but, more importantly, from the fact that their violation may present a safety risk. Without a proper license, there is no clear way to know if the company or workers have demonstrated full knowledge of the work required for the solar power project or of the building and safety requirements within Massachusetts. Massachusetts has some of the most stringent licensing laws in the entire United States and these laws are intended to ensure safety in electrical workplaces and on construction sites. When work is done by temporary or unlicensed workers, this undermines the effectiveness of the licensing requirements and puts the safety of the project at risk. With new and advanced solar technologies that could require a different set of skills than traditional electrical work, it is especially important that all safety precautions be followed. Any situation where unlicensed construction or electrical workers are employed is a risky situation. Aside from the fact that the workers are lacking in the license that proves they have the safety knowledge and skills needed, there are also other issues as well. For example, an unlicensed construction worker or electrical worker may not be properly insured through the state workers’ compensation system. If a worker performs work without a license or proper insurance and is injured, the question of who is liable for the injury becomes a complicated one. This is especially true when temporary workers are used, since these workers may not be classified as employees covered under workers’ compensation. Unlicensed temporary workers who perform work on a solar project or any type of electrical or construction project will need to consult with an attorney if they suffer an injury at work to better understand how to proceed with collecting compensation. Roughly 150 workers have been killed, and nearly 1,000 injured, in combustible dust explosions since 1980, according to the Occupational Safety and Health Administration (OSHA). In attempt to better understand combustible dust explosions and to find ways to prevent such incidents OSHA invited outside experts to participate in a Combustible Dust Expert Forum later this month. OSHA is looking to gather experts’ views and perspectives on possible regulatory options for addressing the safety issues of combustible dust hazards. The Combustible Dust Expert Forum will include discussions targeting regulatory options that can help to minimize the costs to small- and medium-sized businesses of reducing or preventing combustible dust hazards. Representatives from various industries, academia, research groups, insurance-underwriter organizations, labor, and government will comprise expert representation at the Forum. Our Boston workers’ compensation attorneys understand the importance of identifying the cause of these problems in effort to determine safe solutions to help protect workers. All safety measures should be taken by employers and employees to help keep the workplace safe for all. The National Emphasis Program in 2007 was one of OSHA’s earlier efforts to address various combustible dust hazards. 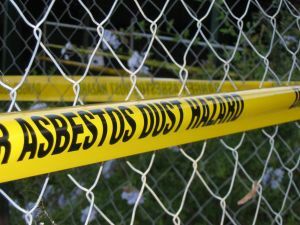 They conducted various targeted inspections that took a look at various workplaces that created or handled combustible dust. Results from these inspections illustrated that facilities had an alarmingly high number of general duty clause violations. These findings indicated a strong need for to create a combustible dust standard. This resulted in the publication of an Advance Notice of Proposed Rulemaking in 2009. With even more efforts, OSHA conducted six stakeholders meetings and a Web chat to discuss combustible dust in attempt to expand the opportunity for public and stakeholder participation. Combustible materials, and sometimes even materials that are normally considered noncombustible, can burn rapidly when they’re in a finely divided form. If these types of dusts are suspended in air in the right concentration, the result can be an explosion. The force from these explosions can lead to worker deaths, injuries, and even the destruction of entire buildings. -Chunks or flakes that can potentially cause implosion of fire when suspended in air. These various forms of combustible dusts can be made of metal, plastic, wood, sugar, flour, coal, rubber or paper. OSHA’s Safety and Health Topics page on combustible dust offers more details information about this dangerous hazard. The Combustible Dust Expert Forum will be May 13, 2010 at the Department of Labor, 200 Constitution Ave., N.W., Washington, D.C. at 9 p.m.
A new and updated rule, created to protect the safety and health of shipyard workers, has recently been put into effect by the U.S. Department of Labor’s Occupational Safety and Health Administration (OSHA). The rule has recently been published in the Federal Register and takes the place of an existing rule. It is now more compatible with the recent advances in shipyard industry practices and technology. It provides new protections from hazards that previously the rule did not address. It now includes details pertaining to the control of hazardous energy. The new rule is expected to prevent nearly 400 serious work inures in Boston and elsewhere in the United States. Our Boston personal workers’ compensation attorneys know the dangers inherent in working in shipyards. It is the responsibility of the employer to make sure that working conditions meet all safety requirements and regulations in effort to help keep all employees safe on the job. The final rule will address fourteen workplace safety and health categories. This will update and clarify provisions in current shipyard employment standards that had virtually gone untouched or changed since 1972, when OSHA adopted the initial rule. The new rules include the creating and enforce minimum lighting on certain work sites, assisting employees at the end of their work shifts and at the end of job tasks when working alone. The rule will also add new uniform criteria to be sure that shipyards have an adequate number of properly trained first-aid providers. OSHA will also be adding new provisions to help control hazardous energy and to increase vehicle safety. Before the establishment of this final rule, the maritime industry had no specific standards that addressed the control of hazardous energy. According to data from the Labor Department’s Bureau of Labor Statistics’ Census of Fatal Occupational Injuries, transportation accidents make up nearly 20 percent of all shipyard deaths. The new rule’s provisions aim to significantly reduce these incidents as they will now require everyone use of seat belts while operating a motor vehicle in a shipyard. A full copy of OSHA’s new rule can be found on their web page designated to the updates. Employees and employers are encouraged to familiarize themselves with the new regulations and abide by them on shipyards. 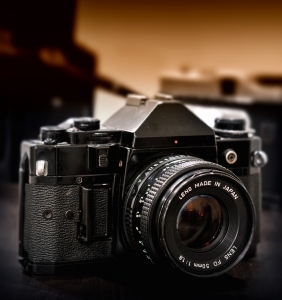 A photography contest, conducted by the U.S. Department of Labor’s Occupational Safety and Health Administration (OSHA), urges residents to capture a creative snapshot of workplace safety and health, according to a U.S. Department of Labor press release. The contest, titled “Picture It!”, aims to strike up awareness of the importance of a safe working environment to help prevent a work accident in Boston and elsewhere in the United States. Our Boston workers’ compensation lawyers would like too remind employees, and employers, that a safe working environment should be kept and maintained at all times. It is the responsibility of the employer to ensure that employees are safe and protected from danger and injury while on the job. Our lawyers continue to work tirelessly to recognize and fight for the rights of employees who may have been injured on the job. OSHA is currently celebrating its 40th anniversary, which they will continue to celebrate throughout the entire year. Picture It! is kicking off the celebration and is open to those 18 and older. The contest will be accepting submissions through August 12. Residents are encouraged to invite their friends and family to participate in the fun and creative event. You can download the contest flyer from the OSHA website to help share the details. Photographers are asked to share their visions of workplace safety and health, and they may do so in any way they choose. Photos must be taken in the United States. Prizes will be awarded to the first, second and third place winners. Photographers are asked to use their artistic skills to successfully portray occupational safety and health in such a way that would help to raise interest in the general public. Submissions will be judged by accomplished photography professionals. They will be judged on the quality of the photograph, their compatibility with OSHA publications, clarity of the conveyed message, creativity and originality. Photos must include workers, employers or workplace imagery. Photographs submitted by the judged winners and finalists will be posted on the OSHA photo contest web site. First-place will receive a framed letter of congratulations from Secretary of Labor Hilda L. Solis. The three winning photos will be displayed in OSHA’s national office in Washington. The organization hopes that the participation and display of these winning photos will serve as a daily reminder for leading policymakers and prominent professionals of the purpose and drive behind OSHA’s mission. OSHA contractors and special government employees are encouraged to participate as well. On-site consultation employees and federal OSHA, “state plan” state OSHA employees are not eligible. They will be asked to participate in a separate and internal contest that will be running during the same time as the public contest. A complete list of contest rules and regulations and instructions on how to submit your photo can be found on OSHA’s website. The Boston Globe is reporting that Massachusetts employers workers’ compensation insurance rates will remain unchanged through at least next year, saving big business money even as industry continues to complain about the cost of protecting workers..
Our Massachusetts workers compensation attorneys want you to know that big business should not be arguing that protecting and caring for injured workers is adding to their bottom line. Many employers will vigorously fight a claim to keep those costs down, which is why getting an experienced workers’ compensation attorney is crucial after a Boston work accident. Insurers were seeking a 6.6 percent increase. Massachusetts big businesses are thrilled with the rate freeze which will save them roughly $65 million a year. We certainly agree that saving big business $65 million will not “overly burden” them. Last year, big businesses weren’t “overly burdened” when rates were cut by 2.4 percent. According to the Occupational Safety and Health Administration (OSHA) 4,340 people were killed on-the-job in 2009. Approximately 3.6 per 100 workers have a reported serious workplace illness or injury. Workers’ compensation insurance provides for these sick and injured workers. The Bureau of Labor Statistics reported that 59 Massachusetts workers died due to on-the-job accidents in 2009. Of those, 20 were killed from traffic accidents, 12 died from coming into contact with a dropped object or being hit by equipment, 11 died due to a fall, 9 workers were killed by a violent act or assault while at work and 7 perished after an exposure to a harmful substance. If you are considering filing a Workers’ Compensation claim in Massachusetts, consult an experienced attorney who will fight for the benefits you deserve. Rigging dangers are every where at a shipyard. The Occupational Safety and Health Administration (OSHA) hopes their recently published document illustrates tips to preventing future rigging accidents. 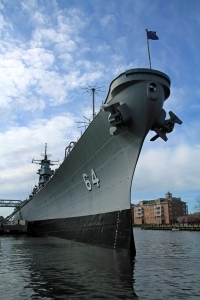 Our Boston personal injury lawyers know that working in a shipyard is one of the most hazardous work environments. Ensuring a safe workplace should be the primary goal of your employer to prevent Massachusetts work injuries. Rigging in a shipyard uses ropes and cables to secure huge ship parts or sections to lifting equipment in order to move them. Needless to say if the rigging isn’t done properly the load could come crashing down, killing someone instantly. A SHIPS (Safety and Health Injury Prevention Sheet) was created for rigging and designed to show the do’s and don’ts of rigging in order to reduce the number of death and injuries suffered on the job. 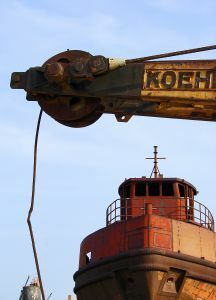 The SHIPS document begins with the common causes of serious or fatal shipyard hazards. 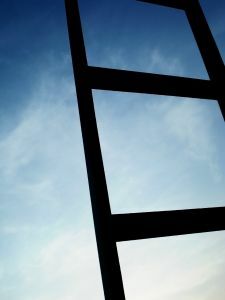 Fall hazards are caused by unsafe work surfaces, unprotected openings and improperly used ladders. Struck-by and crushing hazards are caused by many situations including: an unsafe rigged load, being in the wrong position when the load is being moved, defective equipment, improperly used tag lines and the load operator placing the load above workers. Electrical hazards exist when equipment and tools are not grounded properly, electric cables become worn or frayed, electrical tools are defective and the hoisting or hauling equipment comes in contact with live electric lines. The SHIPS document presents illustrations of different scenarios on how injuries occur and how to prevent them. In each scenario a real case history is reviewed and then analysis and preventive measures are discussed. The pictures make it clear even to a layperson what was done incorrectly and how it can be prevented in the future. SHIPS training documents are made to be user and reader friendly and come with mini-posters for quick referencing. OSHA Maritime Industry Web page offers links to Maritime information including: standards and guidelines, compliance information, advisory committee viewpoints, outreach training program and safety and health topics. Mainly aimed at new construction, a document issued by the Occupational Safety and Health Administration (OSHA) aims to help employers prevent fall-related injuries and deaths on residential construction sites, according to a United States Department of Labor press release. The precautionary document compliments the Compliance Guidance for Residential Construction directive from December 2010 by providing employers with methods they can use to help them comply with these new safety standard requirements. Fatalities from falls are the number one cause of workplace deaths in construction, according to the Occupational Safety and Health Administration. The Administrations provides these safety measures as a way to effectively prevent these work related fatalities in Massachusetts and elsewhere in the United States. Our Boston workers’ compensation lawyers urge employers to read and follow this Fall Protection in Residential Construction document as it is intended to assist employers to comply with OSHA’s safety measures. As the spring season is upon us, the number of construction projects across the city will increase. While the new directive is aimed primarily at those working on new construction, all construction workers are encouraged to become familiar with the safety procedures. The document illustrates various safety methods that employers can use during different stages of their construction plan. The methods used to prevent fall-related injuries and deaths include guardrails, ladders, anchors for personal fall arrest systems and fall restraints, safety net systems and scaffolds. Prior to the new directive, the previous standard allowed certain employers to use alternative methods of fall protection. With the issuance of the new directive in December 2010, all residential construction employers were now instructed to now comply with 29 Code of Federal Regulations 1926.501(b) (13). If residential builders conclude that traditional fall protection is not feasible within certain residential environments and is not the most effective strategy in providing safe environments to workers, than this code will also allow them to use alternative means of protection after providing a detailed document to OSHA explaining why the new methods may be ineffective on their site. OSHA has provided training and compliance assistance for employers. The agency also offers a webinar for those interested in learning more about the compliance. The Occupational Safety and Health Act of 1970 was set to ensure that employers understand that they are responsible for providing safe and healthful workplaces for their employees. OSHA’s role in this process is to assure these conditions for America’s workers by setting and enforcing these safety standards, education workers and employers and providing proper training and assistance. 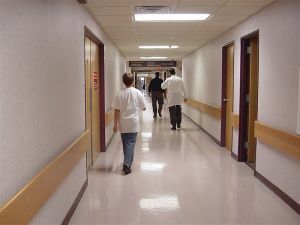 Residents experience low levels of radiation on a daily basis. The levels of radiation released through the Fukushima Daiichi power plant, recently threatening the coasts of the U.S. in trace amounts, do not present a threat. We’re not completely in the clear however, small traces of acid rain are expected in the Boston area. You are more likely to be exposed to excessive levels of radiation inBoston work accidents— particularly those residents who work in the medical or energy fields. Boston workers’ compensation attorneys understand that aside from the everyday exposure to residual radiation in the atmosphere and to medical applications, detrimental radiation exposure causes potential danger in local plants and nearby homes. We note the recent report from the watchdog group, Union of Concerned Scientists that listed 14 plants that had near misses last year. Plants from outside of our state can also pose threats to our residents. Boston state health officials announced that the Japanese power plant explosion has caused a stream of radioactive rain on the Bay State. No need to be alarmed, the levels were declared too low to pose a threat to residents, according to the Boston Herald. It is to be noted that the half-life of these radioactive materials is approximately 8 days. The matter is expected to dissolve and become virtually undetectable. Officials are continuously testing the state’s water supply as a safety precaution. Not all radiation or chemical exposure is life threatening. Everyday, acceptable amounts of exposure can result from medical procedures such as CT scans and x-rays. 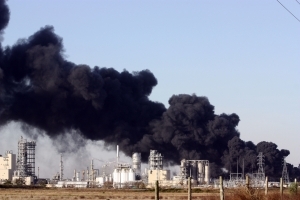 It is the massive amount of exposure, as the Japanese plant workers are being exposed to or the Danvers Explosion of 2006, that poses life-threatening consequences. While these explosions are unpredictable and sometimes unavoidable, OSHA has established rules and regulations in attempt to avoid any similar disaster from occurring in Massachusetts. -Stay inside your home until instructed otherwise. -Don’t return home if you happen to be out during the incident. Wait until authorities have cleared the area. -Listen for information from the power company and officials to stay informed. Ignorance can be a harmful burden in this scenario. -Be sure to bring pets and livestock indoors. -Do not use your phone. -If you think you have been contaminated, take a thorough shower, put infected clothes in a plastic bag and seal it. -Be sure to seek medical assistance if you experience any unusual symptoms that could possibly be related to radiation or chemical exposure. The best way to limit radiation exposure is to stay informed, shield yourself from the radiation by staying indoors and be patient. It is the responsibility of employers to provide a safe workplace for factory workers that may come in contact with these dangerous materials. It is also their responsibility to provide any necessary compensation should accident occur. A.C. Castle Construction Co. Inc. of Danvers and C.I.L. Inc have been cited for various violations of workplace safety by the U.S. Department of Labor’s Occupational Safety and Health Administration (OSHA). The United States Department of Labor reports the companies exposed employees to fall and electrocution hazards, as well as higher-than-average injury and illness rates. OHSA’s Site-Specific Targeting Program directs inspections to workplaces with higher-than-average injury and illness rates and found these companies to be high-risk zones for a work accident in Boston and nearby areas. 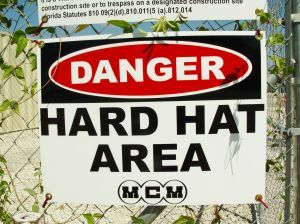 Our Boston personal injury lawyers would like to stress the importance of a safe working environment. Ever since the Occupational Safety and Health Act of 1970, employers are help responsible for providing safe workplaces for all their employees. While these conditions are required by law, proper compensation and care is not always provided by the employer. That is why you’re encouraged to consult an experienced attorney to help ensure your rights are protected in the event of a workplace injury. A serious workplace violation occurs when there is substantial probability that serious physical harm or death could result from a hazard. Both of the Massachusetts companies were cited for unsafe work conditions, OSHA handed out fines totaling nearly $100,000. The A.C. Castle Construction Co. Inc. of Danvers just received 21 repeat and serious violations of workplace safety standards, according to the U.S. Department of Labor. The roofing contractor also is reported to have failed to provide safe work conditions for their on-site employees, allegedly exposing employees to fall and electrocution hazards at a residential work site. Employees were observed working without fall protection on the building’s roof and on a ladder jack scaffold, exposing them to falls of nearly 19 feet, according to a recent OSHA press release. The company was also cited for additional fall hazards for employees using or working on damaged, misused, unsecured or inadequate ladders. The company plant of C.I.L. Inc. was also cited and fined by OSHA for repeat and serous violations. C.I.L. Inc. provides metal finishing, anodizing and hard coat services. The company was cited for the use of unapproved electrical equipment in an area where flammable paints and solvents are mixed, excess air pressure for a cleaning hose, unlabeled electric circuits and inadequate ventilation in an area where flammable materials are stored, according to the Department of Labor. Both employers can contest the findings before the independent Occupational Safety and Health Review Commission within 15 business days from the receipt of their citations.